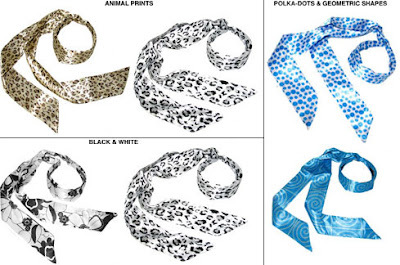 I've found some more cute headband scarves at MagicScarf.com. Animal prints & black & white are hot right now. And as far as I'm concerned, you can't go wrong with polka-dots. Here's some of the great prints I found at only $6 a piece.